Jackson was born on Easter Sunday, 2001. We brought our perfect 8lb 6oz baby home from the hospital and enjoyed two days with our new little one. All seemed well; Jack was a wonderful, healthy baby. At least that’s how it appeared when we were discharged from the hospital. After several minutes of trying to save our baby, they told us his heart was severely compromised and asked if we wanted pastoral care, obviously insinuating they believed our child could die. At that moment we realized it was very serious. He was baptized in the emergency room right before the transport team came to take him to Children’s Hospital of Wisconsin. There, we were told he had a very complex congenital heart defect; Hypoplastic Left Heart Syndrome. This meant his left ventricle was severely underdeveloped. He would need several open heart surgeries to reconstruct his heart. 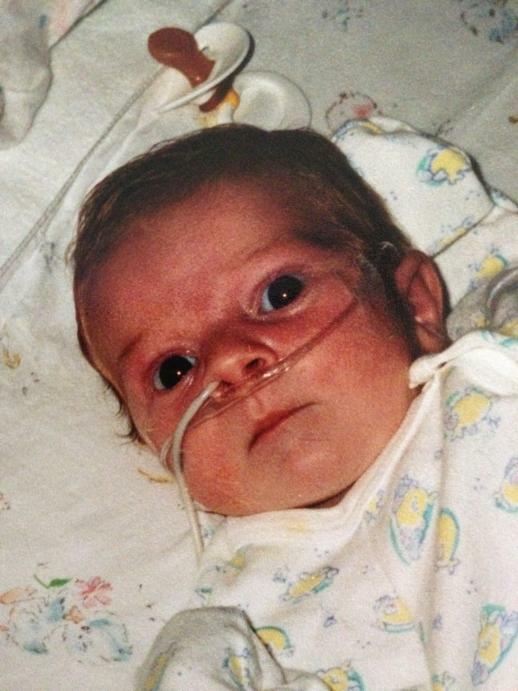 Because he had such severe physical trauma when he was just five days old, his organs needed time to recover. This created such intense instability in Jack that they had to prolong the life-saving heart reconstruction surgery until he got stronger. We were overwhelmed with this news, with equipment, monitors, tubes and lines. It is a life no parent should have to go through, but it was now our life. The hardest thing as a parent to accept was they couldn’t just “fix” him and he would be fine; he would have to deal with this his entire life. Finally, at ten days old, Jack was ready for the first stage of reconstruction. He recovered well and successfully had all three reconstructive operations by the time he was three years old. While each surgery was a struggle for our little boy, he triumphed through each one and became stronger. Other than daily medications and bi-annual cardiology visits, Jack lived a very normal life for the next 8 years. Most people were surprised to know he had congenital heart disease let alone a very complex, life-threatening one. While Jack was restricted physically (i.e. he couldn’t play tackle sports and fatigued seemingly earlier than other children), he excelled at school socially and academically. Eleven years later our life was again to become a roller coaster. At a routine clinic visit, we were told there was a change in his echo and that Jack’s heart was failing. He didn’t really have any symptoms of heart failure so once again; this came as a complete shock to us all. The news was much harder to process, accept, and adapt to this time because we had an eleven year old who was very aware of what was going on. At lunch after that visit he asked us if he was going to die and also what percentage there was that he could die. It took everything in me not to scream and sob to answer his questions. From that appointment on, Jack’s deterioration was rapid, as his heart was failing quite quickly. Within a month we were admitted to the Cardiac Intensive Care Unit (CICU) at Children’s Hospital of Wisconsin. 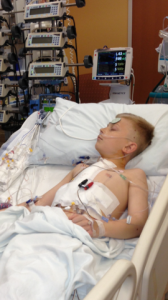 A few days later, they told us he would most likely need a heart transplant. He was put on the heart transplant list shortly thereafter. Every day in the CICU I watched him getting weaker. I was afraid he would over exert himself doing simple daily tasks like walking, showering or eating. After one tough day, I admitted to myself that maybe it wasn’t God’s plan for him to make it through this. I was watching him fade away. Every time I looked at him I would try to memorize his expressions, his smile, his hands and the sound of his laugh…everything about him. Preparing myself that memories might be all I would have. After two months of trying different medications and therapies, Jack continued to deteriorate physically. Mentally however, he was as sharp as ever. 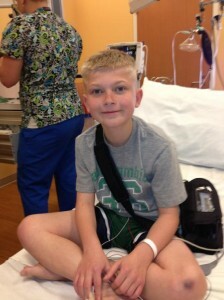 He was well aware of what medications he needed, always had questions for the doctors and kept up on his homework. However, it was eventually decided that Jack needed more support for his failing heart. The physicians caring for Jack decided to place a Heartware Ventricular Assist Device (HVAD) in him. The HVAD is a mechanical pump implanted in the heart to help blood flow in people with weakened hearts. This device was necessary to bridge the time until a donor heart was available. He was the first single ventricle child in the United States to have this device and second in the world. 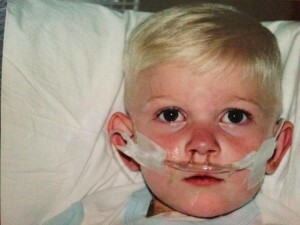 It was terrifying to know this was the first time they were placing this device in a child with Jack’s physiology, but there was no other choice. We had to place Jack in the best position possible to accept a new heart when one became available. 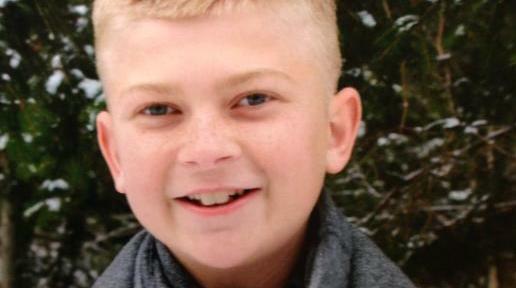 The next day, they began therapies to try and lower his antigen levels. As Jack continued to recovered they began talking about sending him home on the VAD–another first. After two months in the CICU with the device, Jack was able to come home. We cared for him at home and had frequent visits to the hospital for immunosuppression therapy and clinic. Jack thrived being home; he gained weight, grew taller, and eventually went back to school. 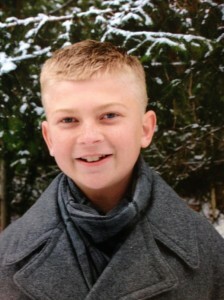 Three months after he was discharged from the hospital we received a call that there was heart for Jack. I reluctantly asked how likely we were to accept this heart and was told it was a negative cross match (a perfect match). On May 20th Jack received his heart and went home eleven days later. He is doing great and even joined the basketball team, something he was unable to do before. Life in our home has returned to normal. A “new normal” where Jack is able to function better than he ever has. Although he will be on medication for the rest of his life, and we now live at a bit of “heightened” sensitivity or awareness as we adapted to Jack living with a new heart, we are thankful every single day for every single breath he takes. 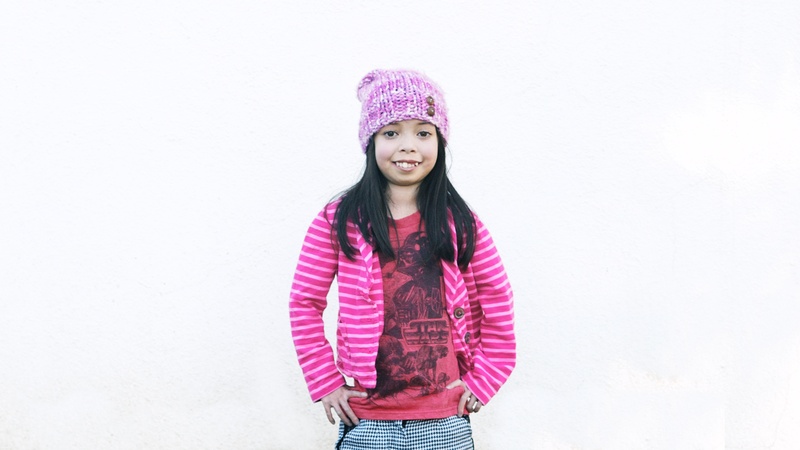 Despite enduring four heart surgeries and six cath procedures since birth, our daughter, ten-year-old Noah Bella has never let her Congenital Heart Disease define who she is. Noah has loads of personality: charisma, magnetism, strength, character, and an ever-present mindset to do the right thing. This has given her the desire and commitment to help other heart families. It was during her last open heart surgery at the age of five that she was able to comprehend how meaningful it was to receive a thoughtful care package from the Hopeful Hearts Foundation. She immediately took comfort in this gift and wanted to see other children like herself feel as special as she did. Since her last three open heart surgeries in 2009, she has created Noah’s Festival of Life, a carnival-themed fundraiser for kids and their families in an effort to help heart families across the country with financial assistance. With the help of the Hopeful Hearts Foundation, she has been able to fulfill this dream of hers. Today, Noah’s Festival of Life is in its 4th year. She continues to be an inspiration and an example to many people on how to lift the spirit and make a positive difference in the lives of heart families throughout the country. Noah’s mission is to help as many heart families in need by providing financial assistance for such expenses as travel, lodging, food, hospital parking, as well as care packages for families during their child’s hospitalization to aid in comfort and healing. If it’s not stressful enough to see a child undergo complex heart surgery, the additional burden of having to pay for these expenses during this difficult time is insurmountable for many. As a heart family we are doing everything we can to ease this strain and allow these families to focus all their energy on their child. 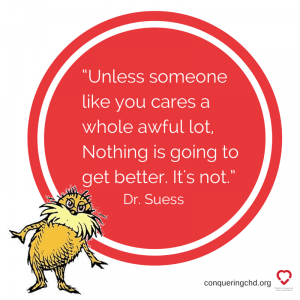 Email advocacy@conqueringchd.org today, to let us know YOU want to participate in in district visits! There has been a lot of talk in the media, lately, about raising money for research. It certainly sends a very powerful message when millions of people come together to raise research funds for a cause. 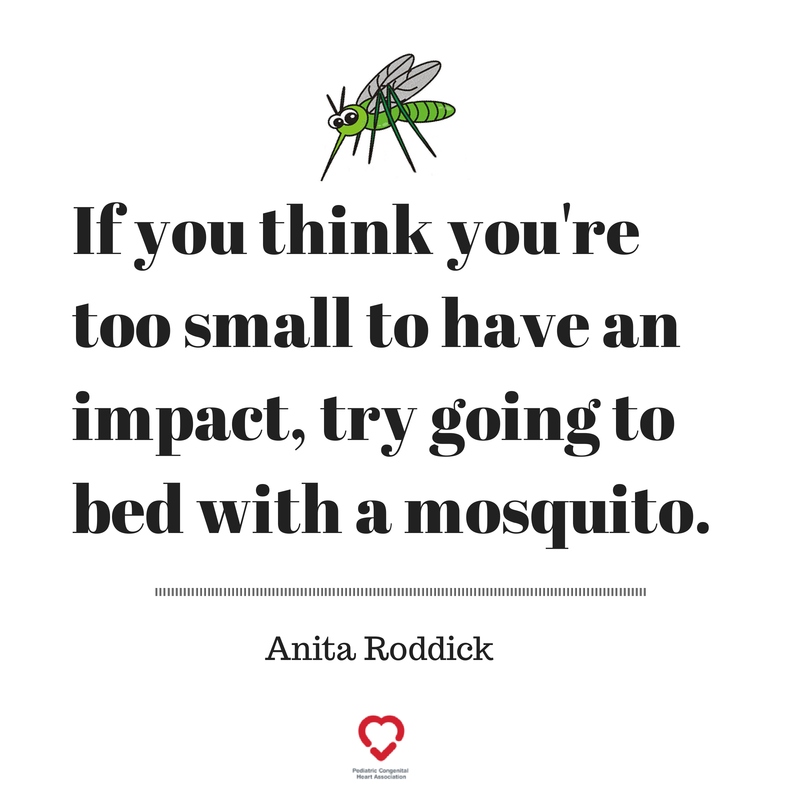 We need you to send a message to Congress about Congenital Heart Defect research funding. The National Institutes of Health supports 10’s of millions of dollars, including supporting the Pediatric Heart Network for research. The Department of Defense has $200M in research funding that CHD research projects can apply for. But, this pales in comparison to what it could be. We challenge you, not to dump ice on your head, but to take a moment and meet with your legislators at their home offices while they are home, working in district, during the month of October. First, email advocacy@conqueringchd.org to let us know you want to participate in an in-district meeting and we will walk you through the process, answering any questions you may have along the way. 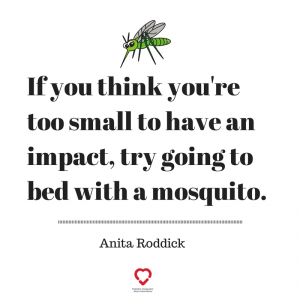 If you are not quite sure you are up for the challenge, feel free to email advocacy@conqueringchd.org for more information.